How much should you pay for a return trip to the moon? How are Winnie the Pooh and the artificial heart related? Did teenagers exist before 1950? If not, who invented them? 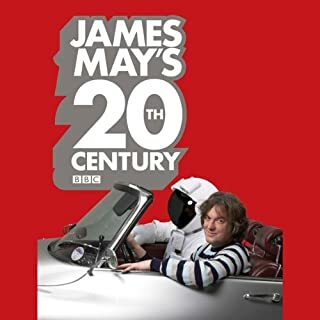 James May's 20th Century answers all these questions and more. More of the wry, honest and often hilarious chronicles of Richard Hammond - TV presenter, adventurer, and general drawer of the Short Straw. Continuing where As You Do and Did I Just Say That? left off, this one focuses on just a few of the many hair-raising stunts, expeditions, and encounters experienced by Richard Hammond over the last eventful year. 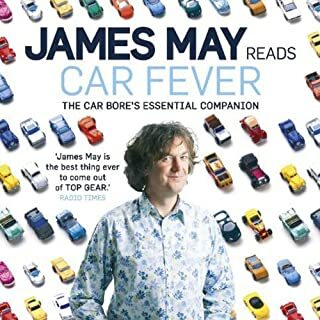 As well as writing about his first love, cars, James has a go at political correctness, the endless rules and regulations of daily life, the internal combustion engine and traffic wardens. He discusses gastropubs, Jeremy Clarkson, and other trials of modern life. His highly entertaining observations from behind the wheel will have you laughing out loud, whether you share his opinions or not. Richard Hammond describes his childhood and adolescence and the emergence of the adrenalin junkie, the first ridiculous stunts on his tricycle, and an increasing and near obsessive attraction to speed and the smell of petrol. He finds an attractive girl, Mindy, who shares his interests and helps him organise his high-speed life. For 13 years, 22 series and 175 shows, Richard Porter was script editor of Top Gear, from the first faltering pilot episode in 2002 until the very last show presented by Jeremy Clarkson, Richard Hammond and James May in 2015. Along the way they destroyed cars, sparked diplomatic incidents, set fire to caravans, almost killed one of the presenters, and somehow transformed Top Gear from a shabby BBC Two motoring show into an Emmy-winning, record-breaking, planet-straddling behemoth. 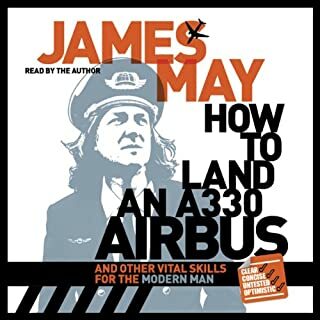 Being given yet another pointless 'man manual' that told him 50 ways to tie a bow tie in under 30 seconds made James May certain there was a need for another kind of book. This book, in fact. He reckons there are nine vital things that a chap should be able to do. The wry, honest and often hilarious chronicles of a very brave and clever TV presenter, Arctic Explorer and general drawer of the Short Straw. Moving quickly on from the devastating crash that nearly killed him he ranges widely over his life and times: a visit to Glastonbury with James May reminds of him of his early years of playing in a band and how and why he never quite made it as a rock star; the stunts and other perils that come his way like the TopGear North Pole race (why is it Richard who is out in the howling elements in a dog sled whilst the others are in the heated cab of an all-terrain vehicle? ), Africa where he falls in love with and repatriates a stray car, and the US (once to be chased by Rednecks in middle America, the other in pursuit of his mad hero Evel Knievel); his passion for cars, what he owns and why and although he loves his wife why it is a toss-up whether he says hello to the wife or the cars first. Balancing home and family with a crazy, peripatetic working life (or not, sometimes), the hamster is well and truly back on the wheel. Chapter on Evel is missing. I don't know if the chapter on Evel was never recorded or wasn't included on Audible, but it's really disappointing to know that I'm not getting the whole book. I only wish it had been unabridged! Where does As You Do rank among all the audiobooks you’ve listened to so far? What was one of the most memorable moments of As You Do? His description of meeting the sled dogs in the arctic race was epic! Not to put in any spoilers, but he literally gets dragged across the ice and through pile after pile of "doggie deposits" while the dogs essentially ignore him (they are very big and powerful) in their quest to reach their owner, whom they really care about. What about the narrator’s performance did you like? This was narrated by the author, who does a fantastic job with the pacing and tone. It's short, and full of laughs, I heartily recommend it. The sequel to "On The Edge", his first book after his horrific crash in the rocket car. Hammond's humour is one that we can all relate to. Even after becoming a huge celebrity and a successful family man and surviving a bone-chilling crash that should have killed him, he still writes with the innocence of a cheaky 10-year-old, but with the the intelligence of a graduate. His rants with his co-hosts are always hilarious and the tales of top-fueled craziness never left me wanting. Very well written, very well read. Great book. It was great to get another insight into his amazing life. And I feel like I know him like a friend after reading it. Definitely worth listening to. Unfortunately this is an abridged version, so it's only 3 hours long. 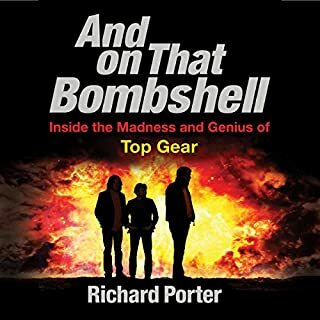 Richard does an excellent job reading and the book provides insight into some of the most famous top gear challenges. Hammond relates some of what happened during the production of TG segments like Botswana and the magnetic north pole. Very entertaining, but I just wish it was longer. If you could sum up As You Do in three words, what would they be? What about uncredited’s performance did you like? This is basically just Richard giving us a more detailed explaination of a few of the shows episodes and recounting how he managed and handled it all. It's an interesting listen. It was very fun to listen to, having watched all TG specials it was great to hear Hammonds voice telling some details and emotions he felt in these great adventures. great story. I'd like it unabridged however. I reached the end wanting it to continue further. looks like I will just have to download another of my favorite car critics works. What did you love best about As You Do? A different perspective on the Top Gear episodes I loved!! His description of getting home in the floods was gripping!! I downloaded this as soon as it appeared and nowhere did the description mention how heavily edited this was. Agreed that it doesn't say unabridged but it would have been fair to say that a lot had been taken out. Whole chapters are missing from this version - not worth the money. Good But Way Too Abridged - No Evel, No USA ? 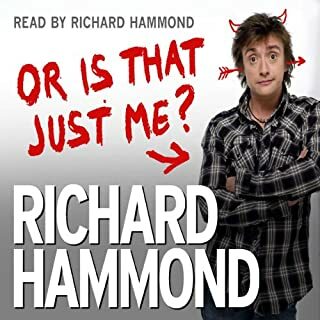 This was a fun listen, Richard Hammond reads naturally and it's very 'boy's own adventure' in style. The book focuses on specific adventures - 3 of them and more than half of it is devoted to the polar adventure. The Botswana trip is dealt with quite quickly and then we have the floods in Gloucestershire. 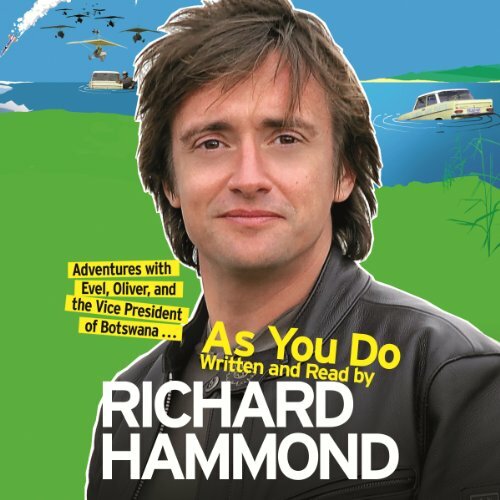 It's one thing to abridge a book for audio but this book is called As You Do - Adventures with Evel, Oliver & The President of Botswana. The USA trip and Evel Knievel do not feature at all and the Botswana trip with Oliver etc gets less time than the floods. I really was dissapointed that so much was missing because what there is, is very good. Abriding to remove sections of a book that are in the title is ridiculous though. It's also worth noting that this book may not be suitable for younger listeners as there is some bad language. There can be little doubt that 'Top Gear' is one of the most popular TV shows of our time, and a key feature of the show, and big cause of it's popularity, are the challenges our three heroes embark upon, each one bigger and more outrageous than the last. The downside to this popularity is that there can't be too many people who haven't seen the drive through Mozambique, the Dog Sled Race, the trip to India etc, especially nowadays when the 'Dave' channel seems to show back-to-back 'Top Gear' pretty much every day. And there's the rub with this book, in which Richard Hammond tells his side of the challenges. Problem is, he already did this on the original shows, and so much of this book is like having 'Top Gear' playing with the picture off. Very well read but where's the rest of my book? First the good news. 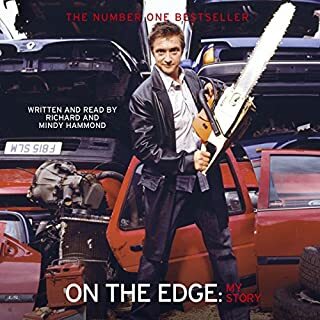 Richard Hammond puts as much warmth, care, excitement and enthusiasm into reading this as he does with "On the edge". It is really nice to hear the story in the author's own words as if they were telling you their stories down the pub. You can cry with him at the sad bits and laugh with him at the truly silly things he has done. Richard Hammond is very easy to listen to and I can never fault his way of story telling at that deserves 5 stars. Bad news....Even though it is well read I feel incredibly cheated by the creators of this "audio book". I feel cheated because if I bought a car and it only had 3 wheels when I should have four I would take it back and demand a refund. Same as if a CD of my favorite band's best hits only had 3 I recognized and a whole bunch of "B" sides that never made it past 30 something in the charts, I would take it back and yell and the poor pimply Saturday worker behind the counter. So If buy a book that says " My adventures with Evel, Oliver and the president of Botswana" I would expect it to have those in it. The Botswana story and Oliver feel like they are dealt with in a relatively short story to the Polar adventure which takes up at least double and a bit more. The story of the floods takes up the rest (around about a third or so of the book), and Evel is cut out of the book completely! I know it says abridged, but to cut out a story mentioned in the title (which I was looking forward to listening to) and keeping in the story of how he ran home one night to avoid the floods is UNACCEPTABLE. For that reason I give the story 1 star only....and a disappointed shake of my head. I have just finished the book and it was superb! Richard showed that he is a man of humour, family loyalty, great friendship and superhuman determination! His addition to many of the tales we have already (partially as it seems) heard is fantastic. I found myself at times literally laughing out loud...which is quite strange at 0530 whilst walking your dog!! !